Tottenham will push to sign Chelsea loanee Mateo Kovacic next year as Real Madrid aim to offload the Croatia midfielder, according to AS. The Spanish news outlet claims that the Blues want to sign Kovacic, 24, on a permanent basis but Spurs will challenge them for his signature having declared their interest in striking a deal with the European giants. Kovacic is currently on a season-long loan at Stamford Bridge where, according to statistics website Spotrac, he earns £75,000-a-week. Mauricio Pochettino is going to need to add to his midfield at some point next year as it looks as though Mousa Dembele will be leaving North London when his contract ends. Kovacic is a quality player and would be an upgrade on someone like Harry Winks, who to be fair to him is yet to reach his full potential. 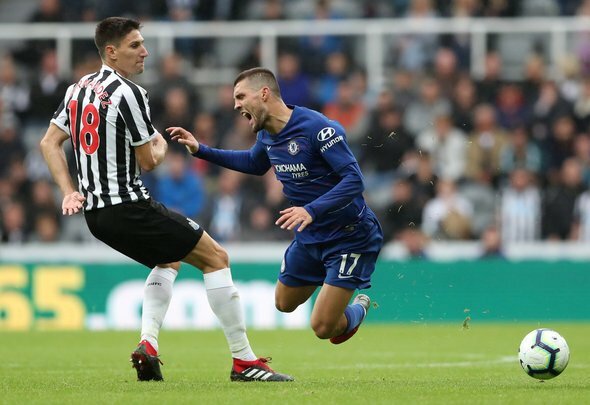 Chelsea fans have been amazed by how good Kovacic has been this season and any chance to sign a high-quality player like that must be taken, otherwise Pochettino and Daniel Levy could seriously regret it. AS reports that Chelsea are leading the race for Kovacic’s signature next year, but don’t write Tottenham off at this stage because who qualifies for the Champions League could make a massive difference. If Spurs qualify for Europe’s biggest tournament and Chelsea don’t then Kovacic could want a switch across London. It’s too far away to tell for sure what is going to happen but Spurs fans will be very happy if they are able to sign the Croatian pass master.